Charles Dye was born October 30, 1906 in Canon City, which the artist referred to as a "Colorado cowtown" where he first rode for ranches as a boy. He worked as a cow hand until he was twenty-one, and travelled with herds to California and Oregon. "I cannot recall a time when I was not on horseback, or not portraying the ranching life in pen and pencil." In 1929 while recovering from an accident, Charlie saw a book about the western artists, Charlie Russell, which inspired him to become an artist. Apparently Charlie Dye had a difficult challenge in winning approval for his chosen profession from his father. According to the artist,"My old man could have forgiven me if I had decided to be a piano player in a whore house, but an artist rated one step below a pimp in his book!" In 1932 Dye moved to Chicago to work in the cattle yards, while he studied night classes at the Chicago Art Institute. In 1936 he moved to New York City and opened his own freelance art studio at 166 East 56th Street. In 1938 Dye studied with Harvey Dunn at the Grand Central School of Art. 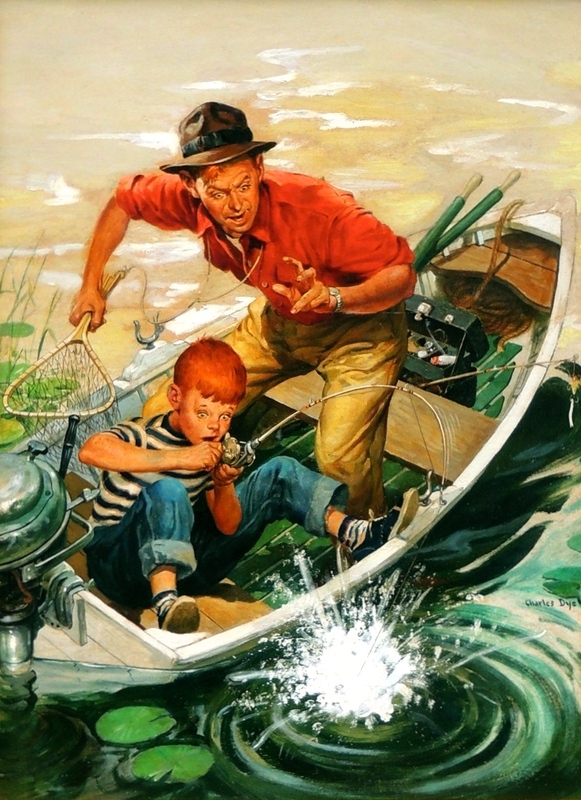 His first freelance assignments were interior story illustrations for the western pulp magazines published by Popular Publications. He later sold pulp covers to Popular's Adventure Magazine and Argosy. 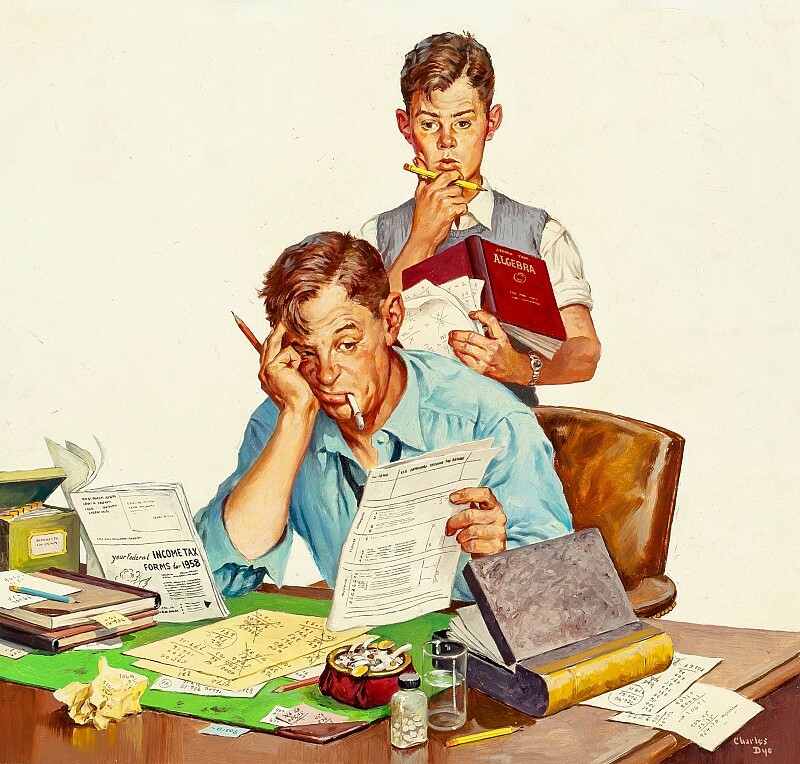 During WWII Charles Dye received assignments from slick magazines which were in need of professional freelance illustrators to replace the talent drain that was caused by the mobilization. Dye found work at The Saturday Evening Post. 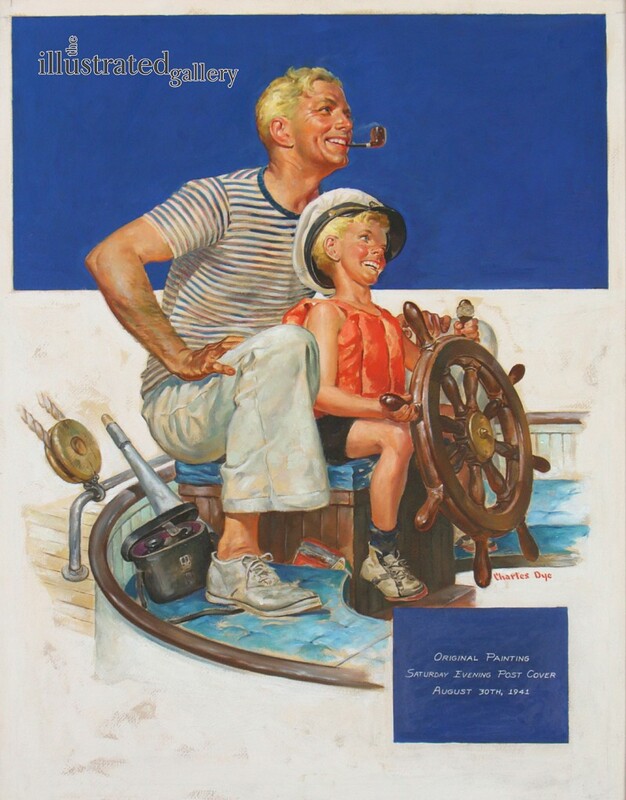 In the 1950s, Charles Dye received regular assignments to paint the covers and interior story illustrations for men's adventure magazines such as Saga, Outdoor Life, and Argosy. As changing tastes made it more difficult for clasic illustrators to find work, Charles Dye returned to his roots and painted Western art for the rest of his life. He moved to Sedona, Arizona in 1962, and helped to found the Cowboy Artists of America, along with Tom Lovell and Nick Eggenhofer. He died in Sedona at age 66 in January of 1973.